Reflexology is a holistic therapy using gentle pressure and touch techniques applied to the hands, ears or feet to promote stress reduction and balance within the whole body. Sessions are provided by appointment only. 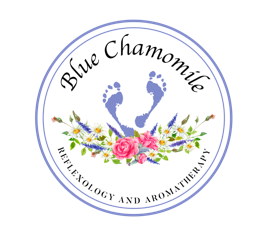 Aromatherapy is the use of essential oils to promote health and wellness. Consultations are by appointment and blends may also be purchased without an appointment.